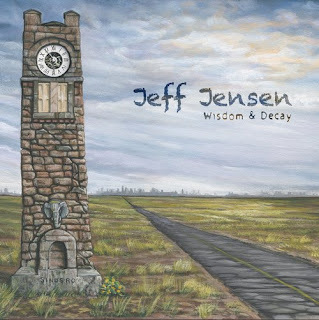 I just had the opportunity to review the most recent release, Wisdom & Decay, from Jeff Jensen and it's flavorful. Opening with Little Milton's I'm Living Off The Love You Give, you get a strong sense of soul from Jensen's hometown of Memphis. With Jensen on guitar and vocal, this band is packed with sound featuring Bill Ruffino on bass, David Green on drums, Chris Stephenson on organ, and a powerful dose of horns from Kirk Smothers on sax and Marc Franklin on trumpet. 2000 Days has a sensitive Latin rhythm and James Cunningham on percussion. A nicely phrased guitar solo by Jensen gives this track a nice boost. With a formula that made the Doobies popular, Jensen hits that smooth rhythmic groove, pumped up by horns, clean melodic guitar riffs and backed by Reba Russell on vocal. With a slinky Latin feel, Downtown, has a firm bass edge by Ruffino, muted trumpet and simmering guitar lead giving the track a fiery feel. Bob Dylan's Tonight I'll Be Staying Here With You takes a solid clue from early Jeff Beck material with Bobby Tench but with a strong remake, this track is really strong. 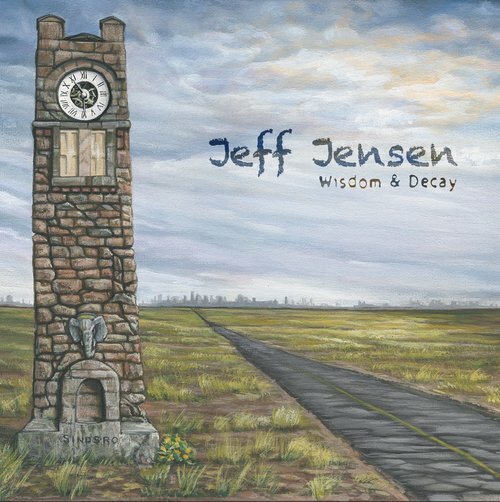 Rich backing vocals and some of the best vocals I've heard from Jensen make this one of my favorite tracks on the release. His guitar soloing is inspired and the horn work soulful. Very nice. Wrapping the release is The Water Jam/Something In The Water Revised which takes a basic melody and with tight percussion, rich organ and vibrant Spanish flavored electric guitar and punches it up with horns. This is adventuresome and a solid track to wrap a cool release.